Presenting the ABANICOS, our focused race bike. 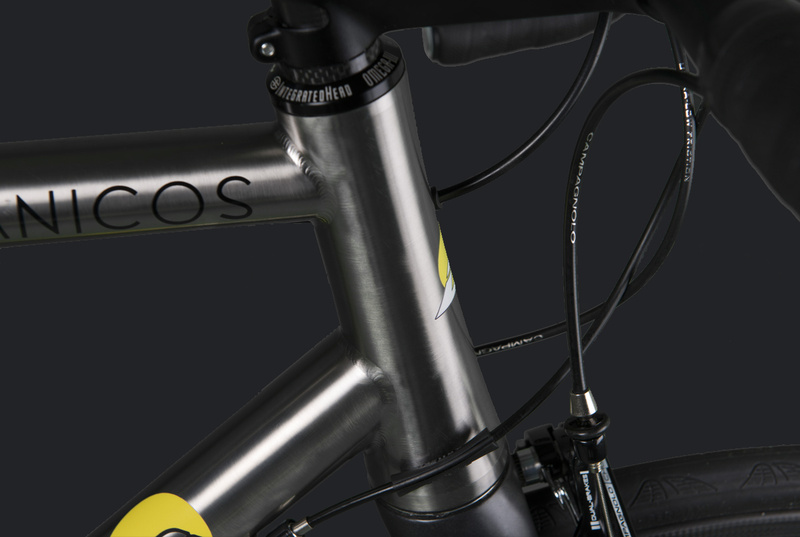 It’s easy to build a stiff and fast titanium bike, however it’s not easy to retain the ride quality of this amazing material. 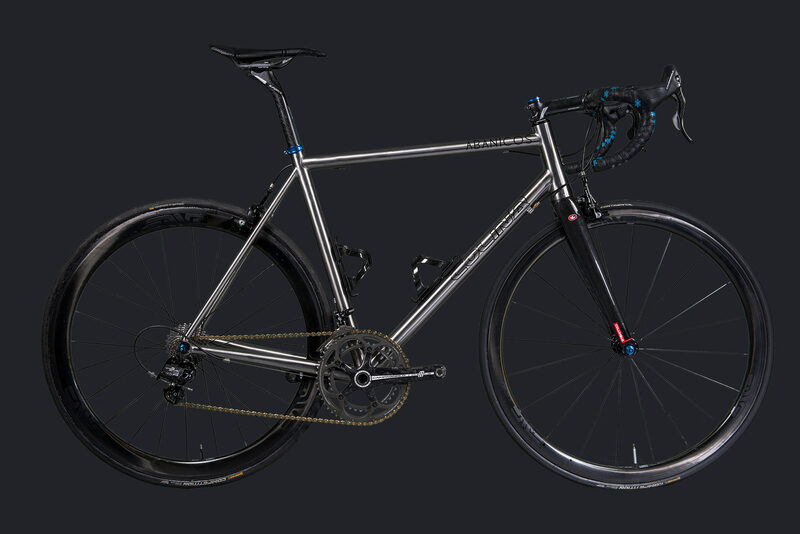 What we have achieved with the ABANICOS is titanium as its optimum of performance, sitting on the pivotal point of race level performance without sacrificing comfort. Make no mistake, the ABANICOS is not as soft a ride as our other models, but it’s very close, ironing out road buzz and keeping you happy for hours. Turn on the power though and the stiffness and responsiveness becomes immediately clear. Also available in electronic version. Colina Limited Warranty Colina products are covered by a limited warranty to the original purchaser against workmanship and material defects as detailed here. 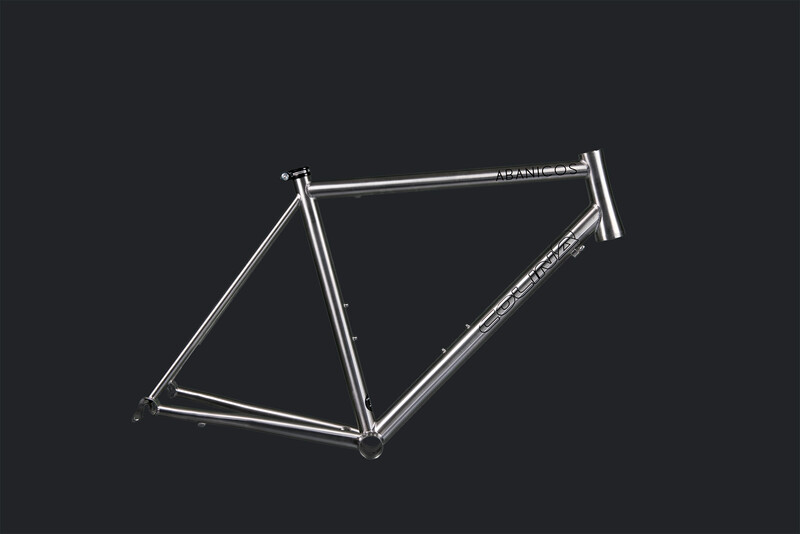 5 Years Titanium frames (all models) 2 Years All Colina carbon fibre products 1 Year Paintwork and decals This warranty covers Colina branded products only. Other components are covered only by the warranty offered by the original manufacturer. Other warranty limitations apply. Please request details. You can securely purchase the outlined bike today or call us for more details.